Presented by Ladson Hinton, M.D. Temporality is unique to the human creature. Time drives and torments us, and because of that we create cultures, religions, arts, and sciences. While hungering for an expansive future, we fear the dangers that new horizons may bring. The past often haunts us. Like Hamlet, we fear the emergence of old ghosts in our present and future. Consciousness of time is an ever-present force thrusting us beyond the boundaries of the known and familiar. Shame is particularly connected with time because it is the emotion of boundaries, often emerging when we enter new territory. It is frequently a marker of terrible past events, both personal and collective. Leaving old structures often exposes us to raw, unexpected truths, captured by a gaze that evokes deep shame. To evade the shock of truth and the resultant shame, individuals and cultures often remain defensively frozen in time. On the other hand, truth and shame can also violently stop us and make us listen, thereby creating openings for new, unexpected vistas of possibility. Such a primal openness can be an aid in navigating the unknown future and assimilating the traumatic past, and be a kind of compass in the ethical darkness. This perspective lies at the core of the psychoanalytic ethos. I will reflect upon these ideas, using examples from myth and ritual, cinema, cultural history, and clinical practice. Ladson Hinton trained in psychiatry at Stanford, and is a graduate of the C. G. Jung Institute of San Francisco. He is a member of the Society of Jungian Analysts of Northern California, the Institute of Contemporary Psychoanalysis in Los Angeles, and is a founding member of the New School for Analytical Psychology in Seattle. He is on the editorial board of the Journal of Analytical Psychology and practices, consults, and teaches in Seattle. His recent publications are in the area of temporality and the philosophical and historical grounds of psychoanalysis. The arrogance of Queen Niobe of Thebes loosed the wrath of the Goddess upon her and cost the lives of her fourteen children. She had boasted before all her kingdom that she was superior to the Goddess, who had given birth to only two children. 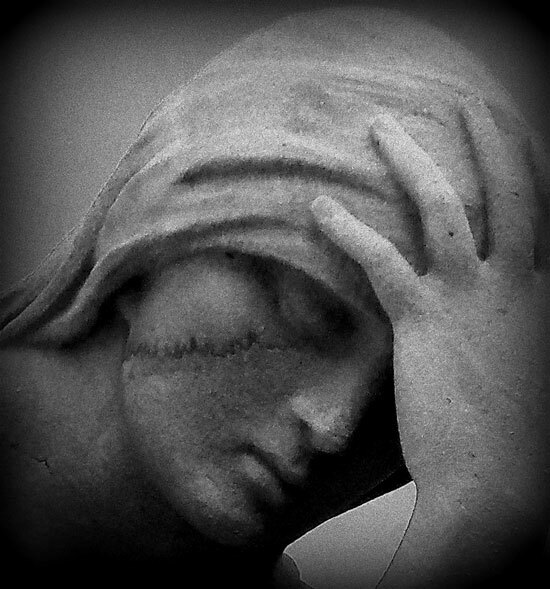 Unending grief and shame is depicted on the face of her cemetary statue just at the moment when her last child is murdered in her arms. She retreats to her mountain homeland where she is mercifully turned to stone. It is common to see Niobe’s statue in children’s cemetaries the world over. Space for the Neglected Perspectives in Psychoanalysis Series is limited to 10 persons, so early registration is encouraged. The two seminars are separate you do not need to register for both unless you want to attend both. 1. To better understand the dimension of temporality and shame in human existence. 2. To better understand the neurobiology of time and shame. 3. To gain more knowledge of the ethical relevance of time and shame.